Sign up today to become a sponsor and hit the course. Learn more about who has endorsed the shoot-out. 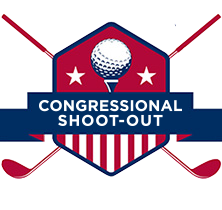 The time has come to put that list to the test and determine the Top Political Golfer in DC, all in the name of raising funds for No Greater Sacrifice. Attendees will include: Ranking and senior members of the House and Senate, Wounded Warriors, professional athletes, and celebrities from film & television.